Sudevi Linda Kramer is a highly sought-after certified Vedic Conservatory teacher of Vedic Style Thai-Yoga Bodywork. She is a certified teacher in Integral Yoga and Jivamukti Yoga, a Pranic Healer and Reiki Master, and a licensed massage therapist. She studies in various parts of Thailand and leads annual Study Tours. Sudevi also holds a Master’s Degree from the University of Missouri. 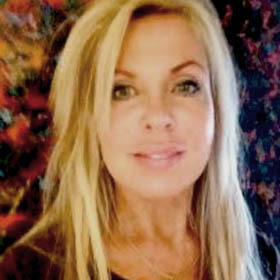 She has been in private practice for 17 years, and was inducted in the World Massage Hall of Fame. Her particular interest is in Traditional Thai Medicine (TTM). Events with Sudevi Linda Kramer, LMT, E-RYT 500, M.A.